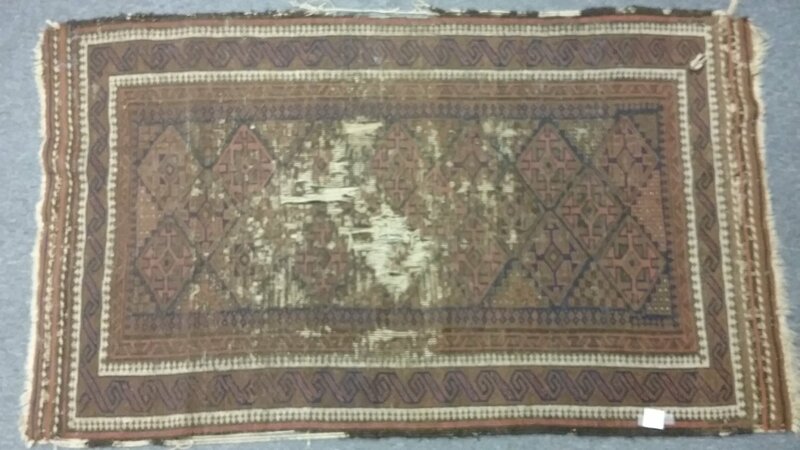 Distressed hand made Middle Eastern rug. As is. Center almost complety gone, only the wool warp remains. All edges frayed. 36" x 60"